Who said that all natural ingredients are always good for you? Take chamomile. This dainty little plant can soothe irritations… or give you a bad allergy attack! Yes, dainty little chamomile can do that. Chamomile is the name of several plants that belong to the daisy family. It’s made up mostly of antioxidants like flavonoids and quercetin and anti-inflammatory agents like α-bisabolol and chamazulene. That’s right: chamomile isn’t just one ingredient. Like all plants, it’s made up of lots and lots of different chemicals. The ones above are good. But chamomile hides a few serpents in its bosom, too. Fun fact: chamomile owes its name to the Greek words “khamai” (on the ground) and “melon” (apple). You already knew that chamomile has anti-inflammatory and soothing properties, didn’t you? Well, now science has confirmed it. A 1981 study shows that chamomile suppressed inflammation in albino rats. According to scientists, chamomile is so soothing because it’s loaded with anti-inflammatories, including matricine, a-bisabobol, levomenol and chamazulene. Levomenol and chamazulene are a particularly powerful duo. Together, they soothe allergies, erythema and sunburns. A-bisabol goes the extra mile, too. It reduces inflammation and helps wounds heal faster. Remember when I mentioned chamomile is rich in flavonoids? These little antioxidants give chamomile its anti-aging properties: it destroys free radicals before they can cause wrinkles. The catch? A 2002 study suggests its antioxidant properties aren’t as strong as those of thyme, basil and rosemary. In other words: use it but NOT alone. Can Chamomile Dye Hair, Too? Before hair dye was invented, women used chamomile to give their blonde tresses a boost. Now, it’s found its way in shampoo for blonde coloured hair. Problem is, you need to use A TON of chamomile extract to stain hair. Brands don’t put that much into your shampoo. Unless you see chamomile at the very top of the ingredient list, don’t bother. Does Chamomile Has Any Side Effects? Remember when I told you that chamomile contains a few nasties? Chamomile belongs to the daisy family. If you’re allergic to any plants in this family, you know that chamomile can give you a bad rash, too. We also don’t know if chamomile is safe for pregnant women. Chamomile is a common natural treatment for morning sickness but a 2000 study points out that “there was no consensus in the popular literature about whether or not each of these herbs was safe for use in pregnancy. Seven sources (6%) cited chamomile and peppermint as unsafe”. What Are The Best Skincare Products With Chamomile? Paula’s Choice Calm Redness Relief SPF 30 Mineral Moisturizer Normal To Oily ($29.00): available at Dermstore and Paula’s Choice. Science confirmed what we already knew: chamomile is soothing and has antioxidant properties to boot. But it can also cause allergies. I guess even natural ingredients aren’t 100% safe. 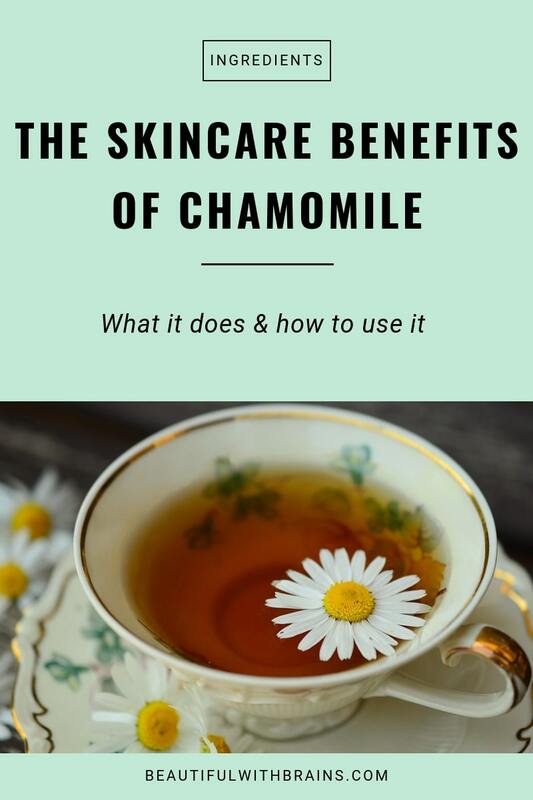 Do you use skincare products with chamomile? Share your fave picks in the comments below. I know I’ve seen chamomile in some of my beauty products. The bit about chamomile for enhancing blonde-ness to hair is a surprise. Herroyalbleakness, chamomile can stain hair indeed but you need a lot of it, which tends to increase the price. Still, it’s good to have natural alternatives to synthetic dyes. 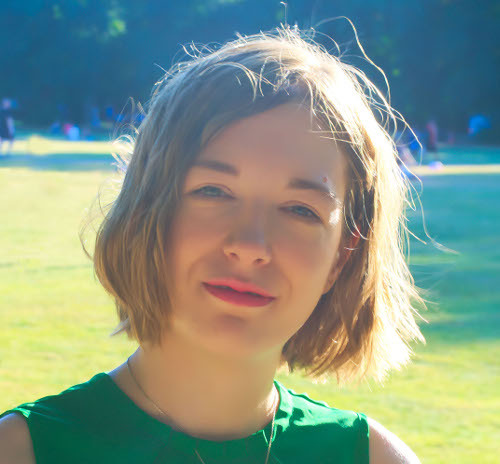 I am so impressed every time I read your blog! Thanks for explaining the root words and the components of the flower. I think of tea and the music video “Mother Lover” every time I hear or see the word. I will study some of the many facts on this post so I think of something smart instead when i hear the word. 😀 I am so happy I found your blog!